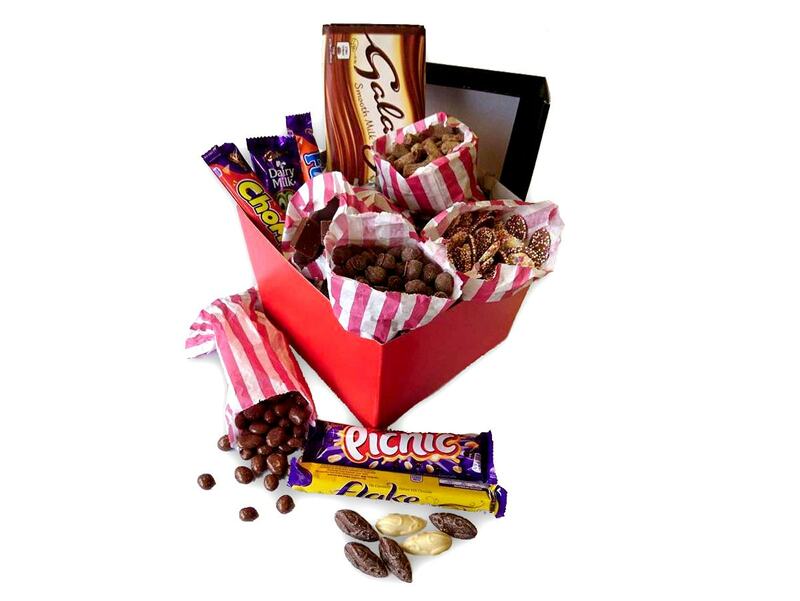 A whole box full of chocolatey delights…this hamper contains it all – chocolate bars, raisins, nuts, fudge…we could go on but you’ll see it all in the contents list so all we’ll say is if you know a chocolate fan then this hamper’s for you! This hamper box measures 17.5cm x 17.5cm x 15cm and is finished off with a bow – making a perfect gift! At time we may be out of stock of a particular sweet (not often), when this is the case we will include a suitable substitute of the same great taste and quality! 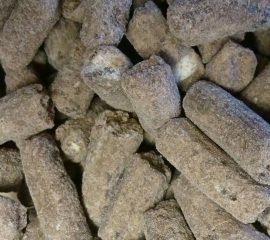 Toffee Crumble: Sugar, Milk, Wheat Flour (Contains Calcium, Iron, Niacin And Thiamin), Vegetable Fats (Palm, Shea, Sal, Sunflower, Rapeseed), Cocoa Butter, Cocoa Mass, Dextrose, Fat Reduced Cocoa Powder, Invert Sugar Syrup, Emulsifiers (Soya Lecithin, E476, Sunflower Lecithin), Barley Malt Syrup, Salt, Whole And Skimmed Milk Powder, Whey Powder (From Milk), Butterfat (From Milk), Glucose-Fructose Syrup, Salt, Raising Agents (E341, E450(I), E500, E501), Flavouring, Modified Starch, Hazelnuts, Desiccated Coconut, Golden Syrup. Milk Chocolate Covered Raisins: Milk Chocolate (58%), (Sugar, Milk Powder, Cocoa Butter, Cocoa Mass, Vegetable Fat (palm MB), Whey (Milk), Emulsifier: Sunflower Lecithin (E322), Glazing Agents: Gum Arabic, Shellac E904). Milk chocolate contains vegetable fat in addition to cocoa butter. Peanuts (48%), Cocoa solids 20% minimum; Milk solids 20% minimum. Chewing Nuts: Glucose syrup, full cream sweetened condensed milk (whole milk sugar), chocolate flavoured coating (18%)(sugar; palm oil; whey powder (milk); maize starch; fat reduced cocoa powder; emulsifiers: soya lecithin; polyglycerol polyricinoleate); flavouring), sugar, palm oil, salt, emulsifier (mono and di glycerides of fatty acids), flavouring. White Mice: Sugar, palm oil, whey powder (from milk), wheat flour (with added calcium; iron; niacin; thiamine), emulsifier: soya lecithin, natural flavourings. Galaxy Chocolate Block: Sugar, Cocoa Butter, Skimmed milk powder, Cocoa mass, Milk fat, Lactose and protein from whey (from milk), Whey powder (from milk), Palm fat, Emulsifier (Soya lecithin), Natural Vanilla Extract. Chomp Bar: Glucose syrup, Sugar, Vegetable fats (palm, shea), Glucose-fructose syrup, Dries Skimmed milk, Cocoa mass, Cocoa butter, Dried whey (from milk), Milk fat, Emulsifiers (Sunflower lecithin, E471, E442), Salt, Sodium bicarbonate, Flavourings. Freddo: Milk, Sugar, Cocoa Butter, Cocoa mass, Vegetable fats (palm, shea), Emulsifiers (E442, E476), Flavourings. Picnic: Sugar, Peanuts, Glucose-fructose Syrup, Glucose Syrup, Wheat flour (with added calcium, iron, niacin, thiamin), Dried grapes, Palm oil, Cocoa butter, Cocoa mass, Skimmed milk powder, Whey powder (from milk), Whey permeate powder (from milk), Rice flour, Milk fat, Emusifiers (E442, sunflower lecithin, E476, E471, soya lecithin, Salt, Barley malt extract, Maize flour, Flavourings, Anti-caking AGent (E170), Raising Agents (E500, E503), Milk proteins. Allergens: Contains PEANUTS, WHEAT, MILK, SOYA. May contain nuts, egg. Flake: Milk, Sugar, Cocoa butter, Cocoa mass, Vegetable fats (palm, shea), Emulsifier (E442), Flavourings. 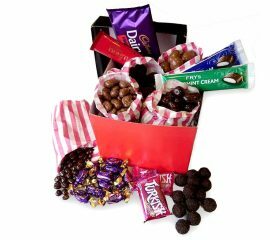 So if you've read our about us section you'll remember that 'Grandpa' used to love his chocolate covered sweets...in essence he loved everything that is in this hamper - hence the name of Grandpa's Luxury Chocolate Hamper! This hamper is crammed full of chocolate covered delights as well as eclairs and some classic chocolate bars...have a look at the content lists and you'll see how much you get! This hamper is 17.5cm x 17.5cm x 17.5cm and finished off with a bow to make the perfect present...or even treat for yourself! This hamper contains: 100g x Rumballs 100g x Cadbury's Chocolate Eclairs 1 x Fruit & Nut Block of Chocolate 2 x Fry's Chocolate Cream Bar's 2 x Fry's Peppermint Cream Bars 100g x Dark Chocolate Covered Coffee Beans 100g x Dark Chocolate Covered Ginger 2 x Fry's Turkish Delight 2 x Bournville Chocolate Bars 100g x Milk Chocolate Covered Brazils 100g x Milk Chocolate Covered Raisins 100g x Milk Chocolate Covered Peanuts Phew...what a selection!! Sometimes (not very often) we may be out of a particular sweet...if this is the case we will substitute it with a sweet of the same great taste and value! 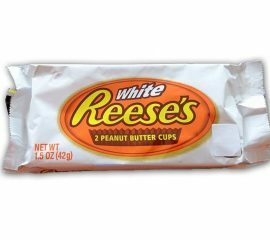 A variation on the classic milk chocolate peanut butter cup as this one's in WHITE! Perfect for white chocolate fans or if you just fancy a change! Ok so its not the prettiest looking sweet we've got but its tastes sooooo good! 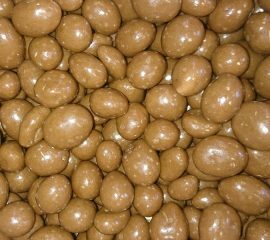 They are a mix of toffee nibbles with biscuit and caramel and milk chocolate...yummy!